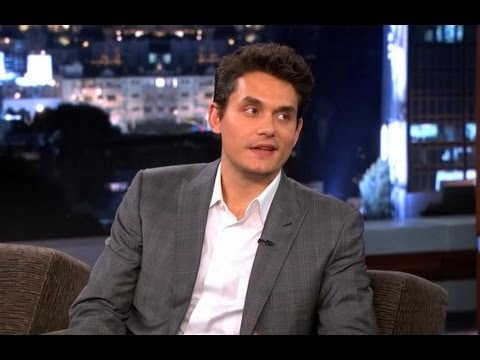 John Mayer Opens Up About His Duet With Girlfriend Katy Perry on Jimmy Kimmel Live! It’s no secret that John Mayer and Katy Perry make beautiful music together. The crooner stopped by Jimmy Kimmel Live! on Thursday, Oct. 3, to dish about his upcoming album, Paradise Valley. But it was his collaboration with his on-again girlfriend on the track “Who You Love” that was the main topic of conversation. “You guys have a duet here, a song you wrote together,” Jimmy Kimmel said to Mayer. “Who You Love” is a sweet melody that tells the story of opening your heart up and allowing yourself to fully love the person in your life—or specifically to “love who you love, who you love” (don’t worry, Mayer repeats this a million times in case you forget the point…or the track title). The “Roar” singer recently opened up to Billboard magazine about how her boyfriend is a “genius” at crossword puzzles. “That’s very sweet of her to call me a genius,” he said.